Targeting personalized instruction for students who are struggling with particular topics. Providing timely opportunities to assist student when needed most. Easily identifying individual student’s strengths and instruction intervention allows students to continue to progress, rather than be left behind. AYM allows teachers and parents to narrow the range of data needed to solve a particular problem by seeing specific answers to tasks the students has completed. Provides feedback to a student which is timely, specific, well formatted, and constructive. AYM allows students to automatically “try again” to remedy issues on their own Thereby establishing confidence in self-learning. Records the amount of time and number of times it takes a student to master each learning activity. The AYM approach of mastery on subjects saves time for teachers and parents. 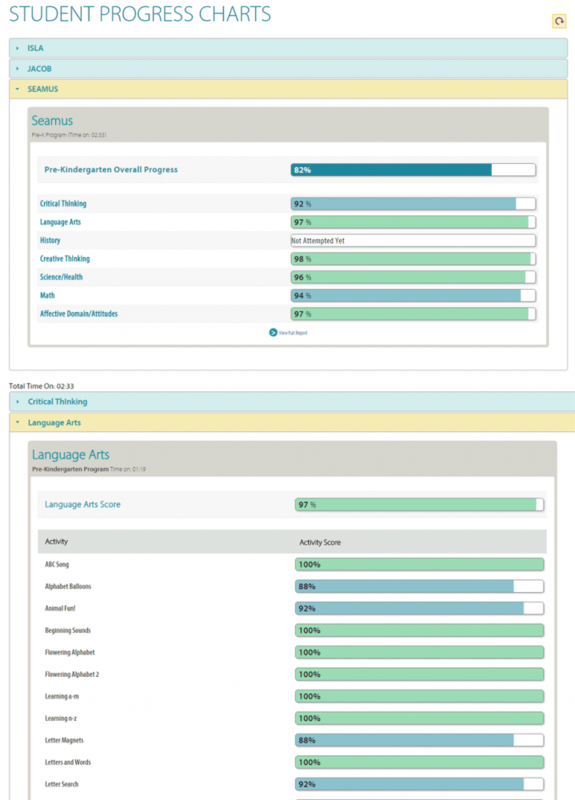 Allows students, not necessarily teachers or parents, to correct their own performance. The AYM Elementary data reports provide real time insight into progress at a district, school, grade, class, and student level. All charts provide a snapshot of how students are progressing toward grade-level academic benchmarks, cognitive development gains and core standards. Each chart follows the individual student’s personalized learning path, and provides immediate constructive feedback on the student’s progress. This data is presented both for the classroom and for the individual student. Data on Creative Thinking, Critical Thinking, Affective Domain, and Attitudes is generated as well. You can see, at a glance, your student’s selection and number of “best answers” in specific areas. The teacher or parent is also notified immediately if a group or individual student is struggling. Details for that student(s) are shown in the Teacher Attention Notification Chart. Data provides teachers/parents a means to establish their own goals for student performance on specific subject areas and see progress. AYM can be used to gage the instructional effectiveness of classroom lessons and provide students and groups that need to be reassigned. Automatically designates particular students to receive additional help with particular skills. Saves an educator time by monitoring the progress on Common Core Standards throughout the program. Fosters a data-driven culture within the school and at home. AYM develops and maintains a district wide student performance data system. 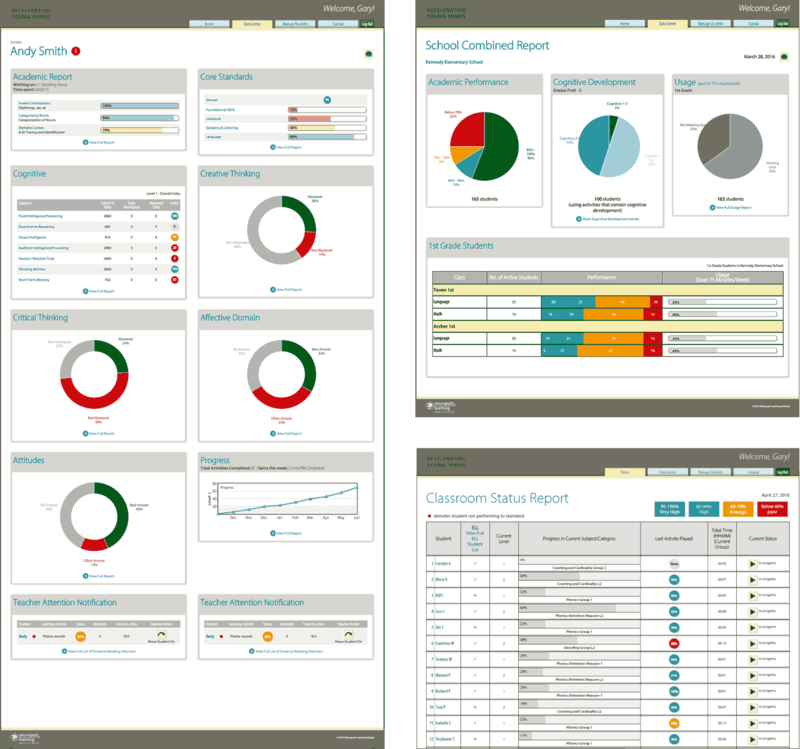 Parents, Educators and Administrators can access data reports in any browser using a computer, tablet or phone; anytime, anywhere, anytime. The AYM Kickstart data reports provide real time insight into progress at a student level. All charts provide a snapshot of how students are progressing toward grade-level academic benchmarks and cognitive development gains. Each chart follows the individual student’s personalized learning path and provides immediate constructive feedback on the student’s progress. This data is presented both for the individual student. Data on Creative Thinking, Critical Thinking, Affective Domain, and Attitudes is generated as well. 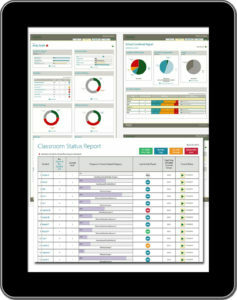 Parents can access data reports in any browser using a computer, tablet or phone; anytime, anywhere.